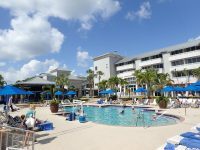 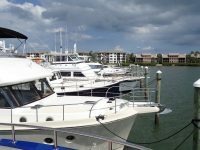 Due to the draft limitations of the Hutchinson Island Marriott venue we were unable to bring any of our listings to showcase, but we did have three Nordhavns available for inspection nearby. 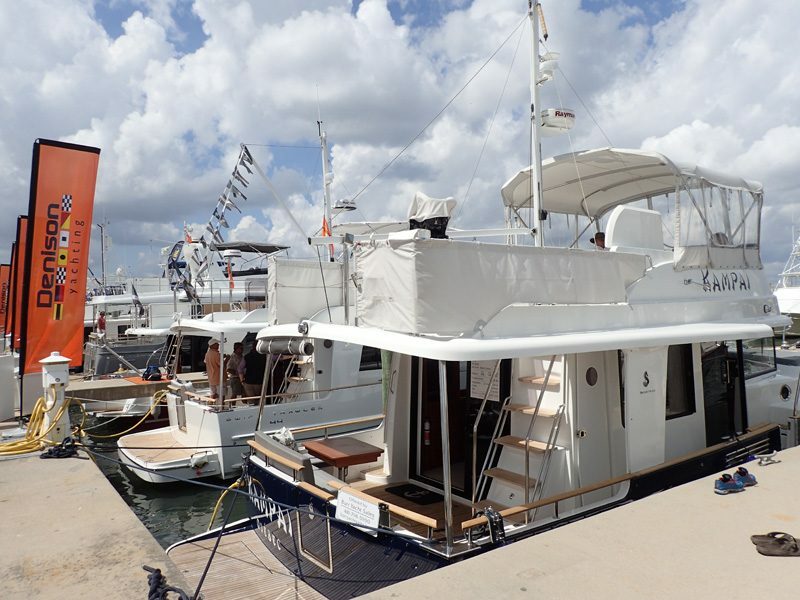 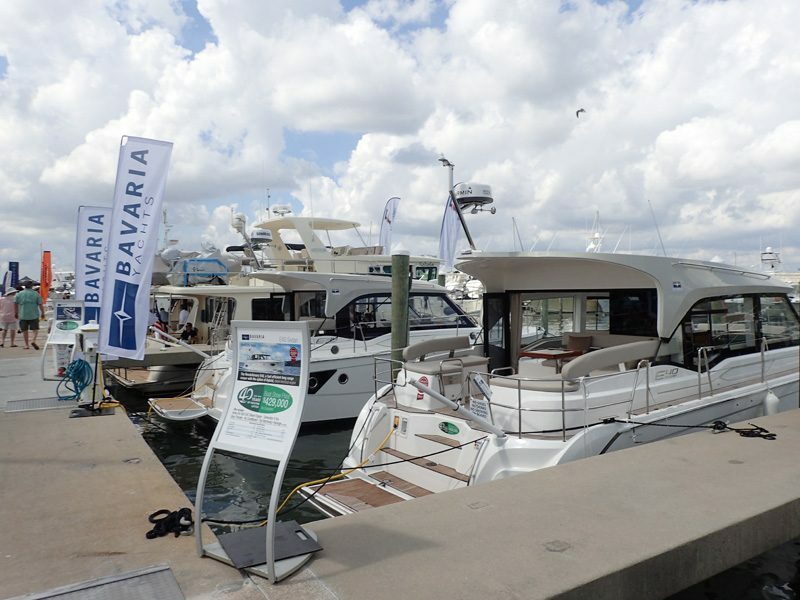 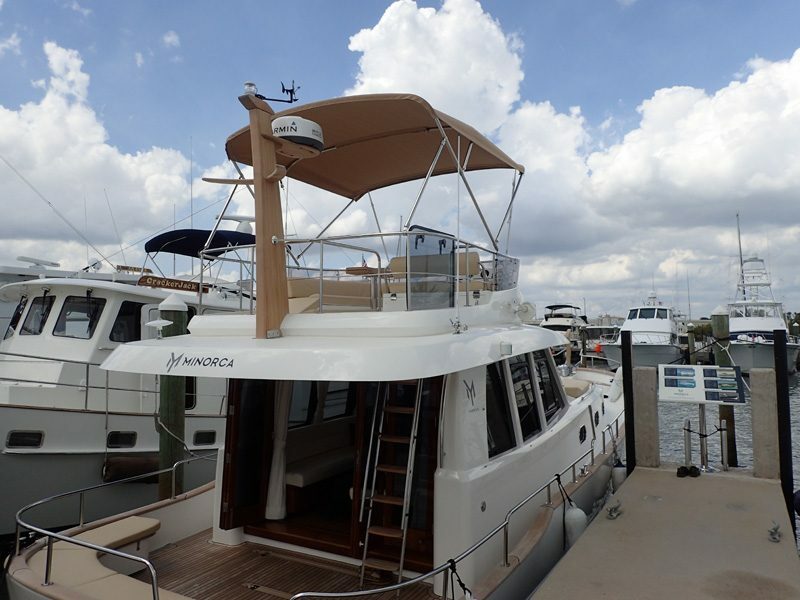 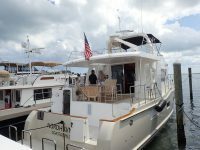 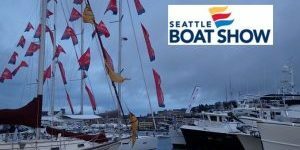 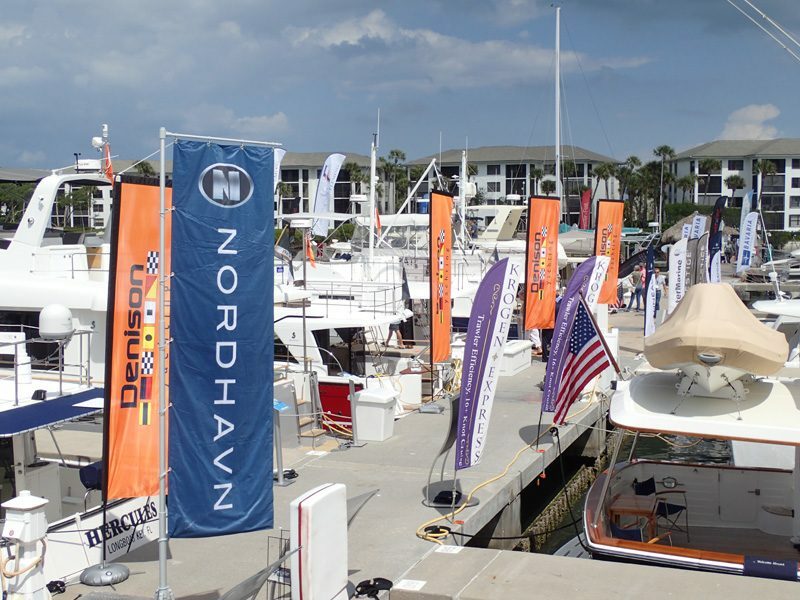 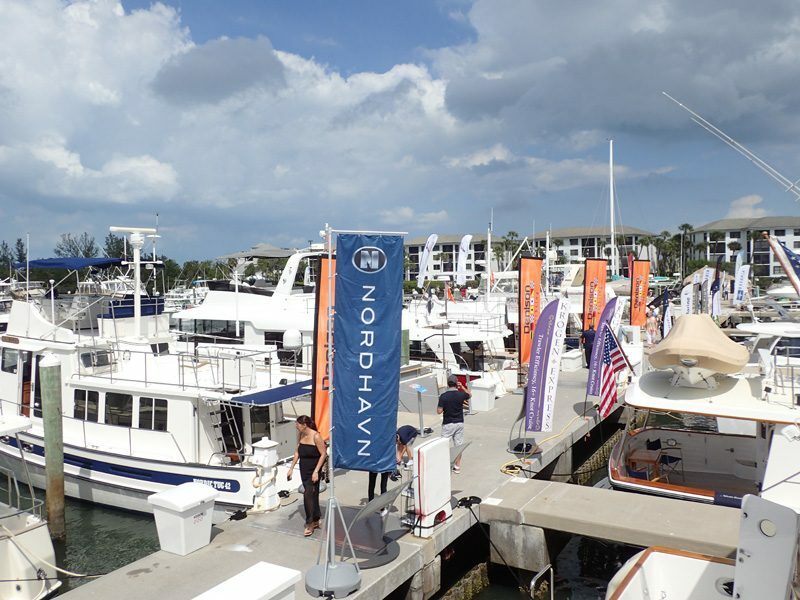 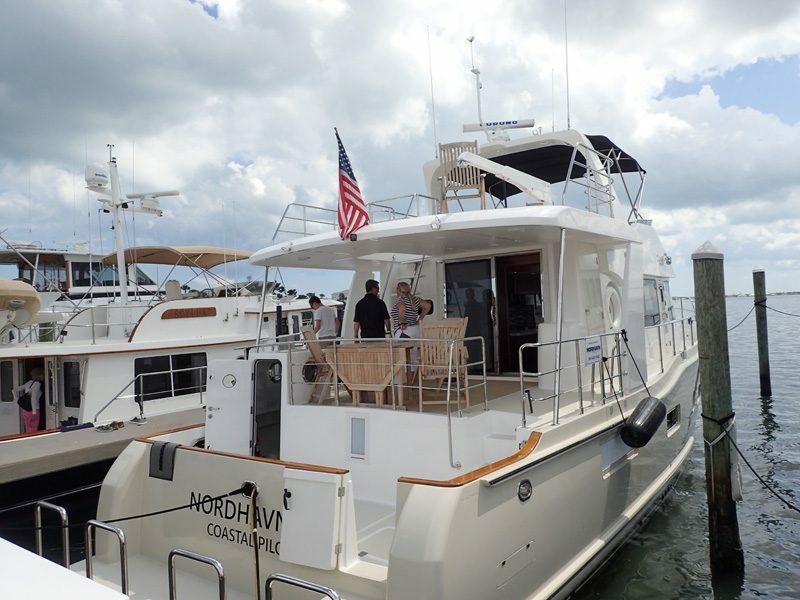 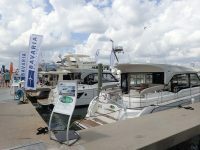 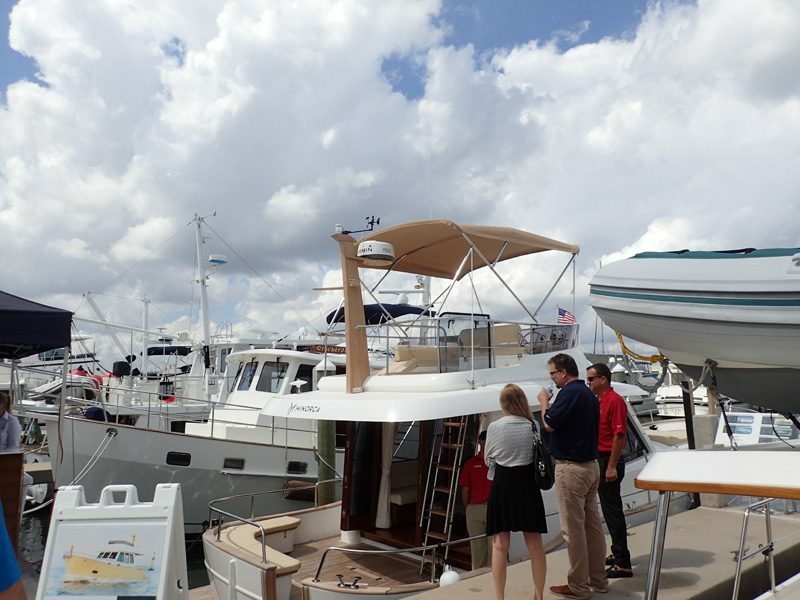 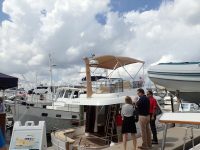 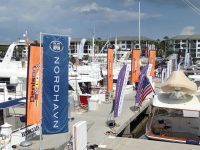 John Hoffman was “on call” and kept busy as we sent over clients for him to tour during the event, the Nordhavn 55 Terrapin (which arrived from North Carolina late Friday), the Nordhavn 57 Diversion and the Nordhavn 60 Chopin. 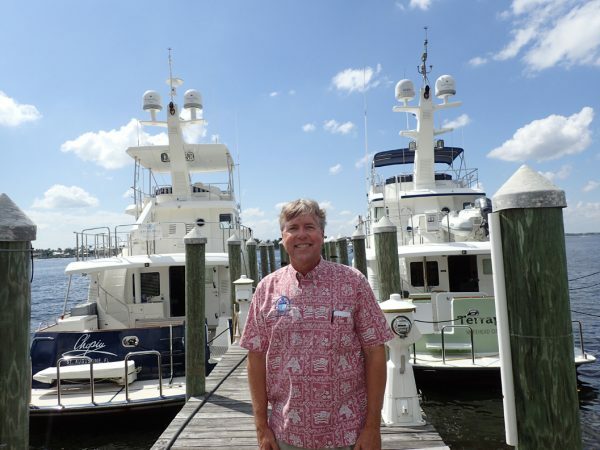 John manages a dock in Stuart near the Roosevelt bridge where we have Terrapin and Chopin lying side by side. 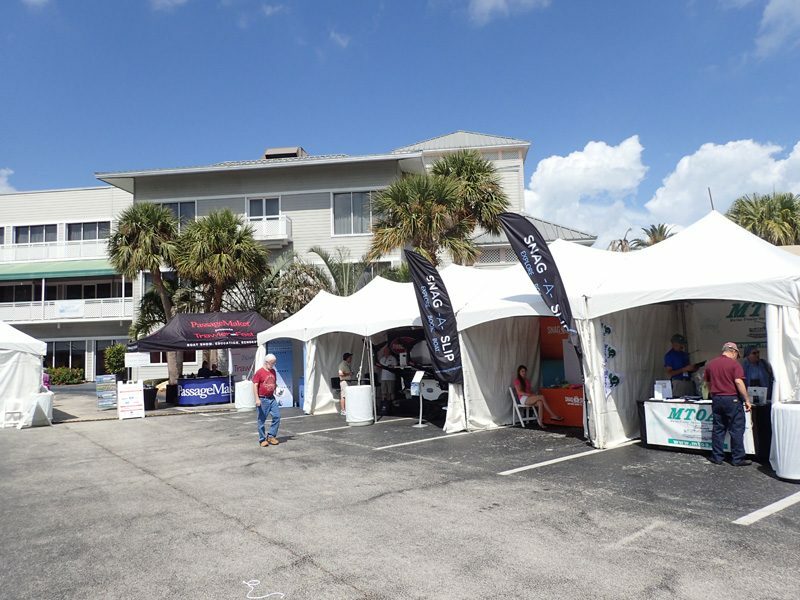 Ray Danet was in town and available to meet with people and, as always, ready to help out. 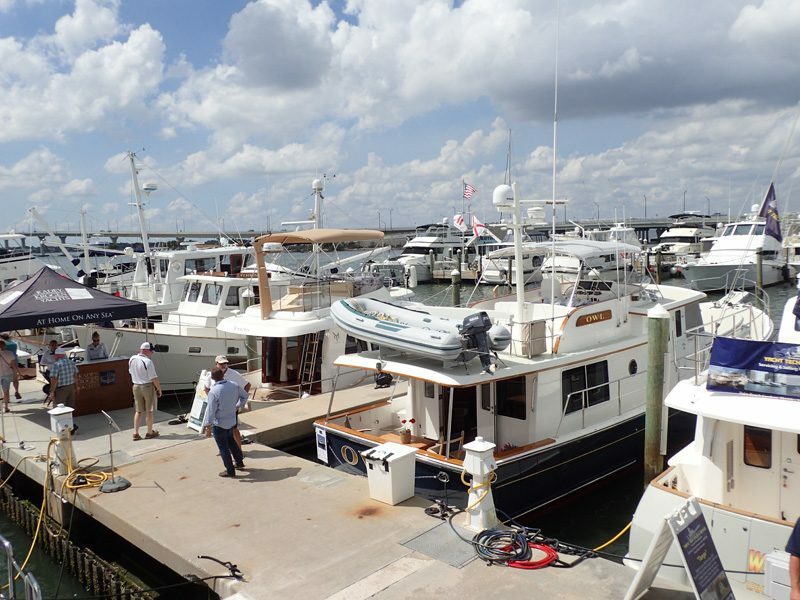 Jeff Merrill and Christopher Bruce were “on campus” meeting with clients and talking trawlers. Jeff and Christopher were also involved in the seminar program. 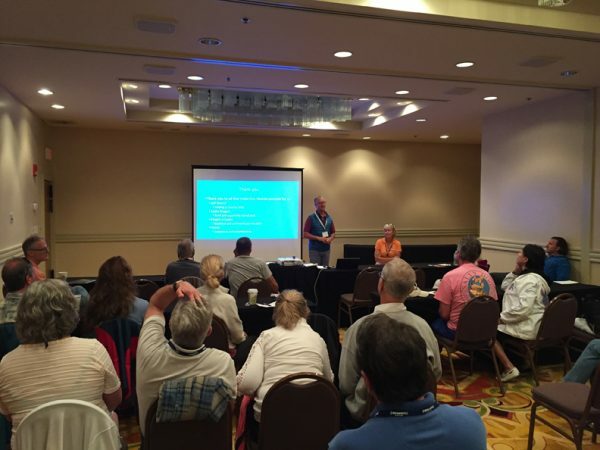 Things started out for JMYS with Jeff moderating the Cruiser’s Roundtable on Friday. 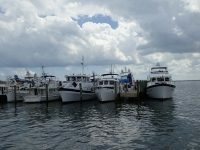 This is a lively panel of trawler experts and the largest room in the Marriott seated a capacity crowd with several people standing in the aisles. 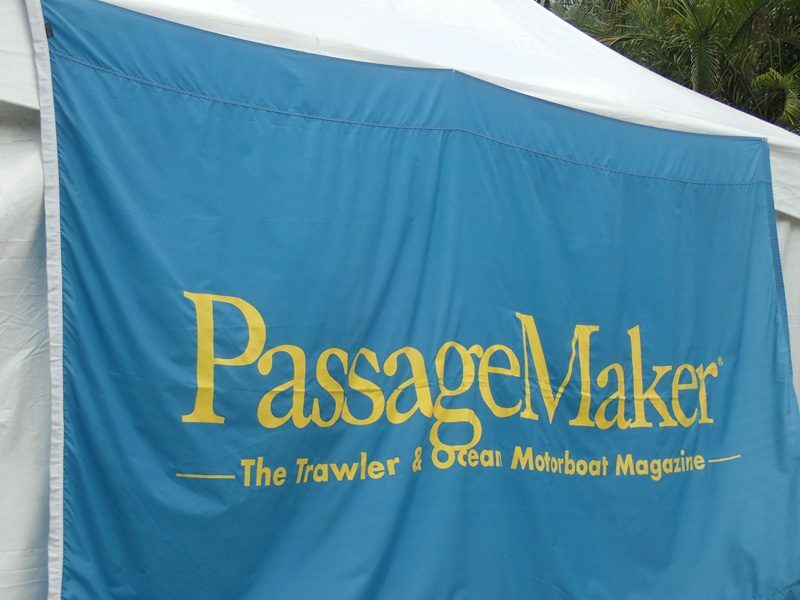 This open forum is an opportunity for the audience to ask questions about cruising and to pick the brains of such cruising luminaries as circumnavigator, Bruce Kessler. The panel members included; Dylan Bailey, Eric Kunz, Andrea Gaines, Bruce Kessler, Steve Zimmerman, John Clayman and Chris Parker with PassageMaker staff Jonathan Cooper and Peter Swanson also chiming in. 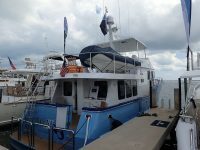 Saturday Jeff was in the classroom from 10:45 am to 4:30 pm. 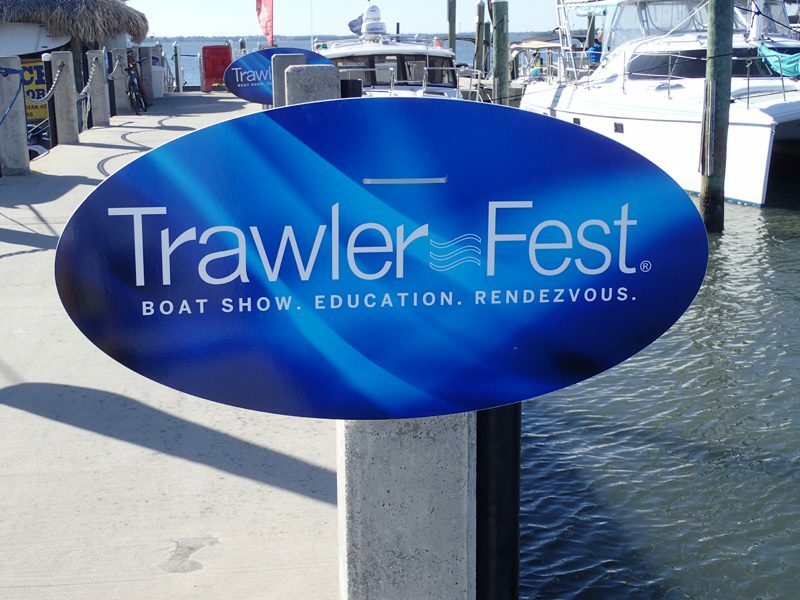 His morning seminar was “Dialing-In-Your-Trawler”, followed in the afternoon with “Offshore Essentials”. 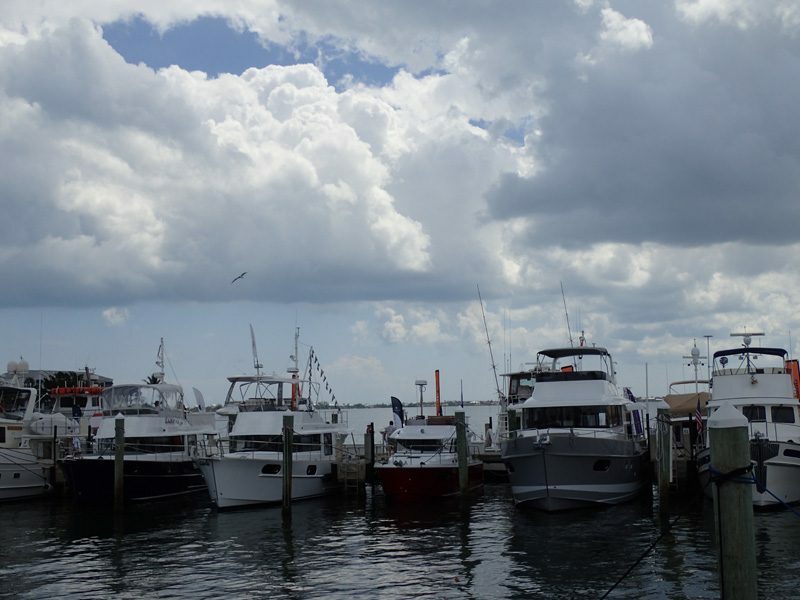 To make it easier for students to soak it all in during the session without the burden of writing notes, we are posting the PowerPoint’s and all handouts for easy downloading below. 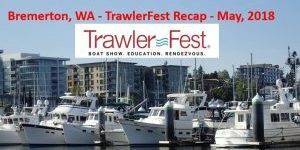 Please feel free to use this information to improve your trawler experience and grab what you want soon as we will remove the presentation and handouts links in a couple of weeks. Christopher and Alexandra Bruce gave a brand-new presentation, “From Cambridge, MA to Cambridge Cay, Bahamas” on Saturday morning. 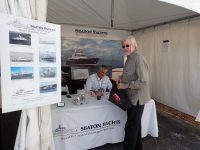 It was a very interesting talk that was perfect for people in the market to buy a trawler and cast off. 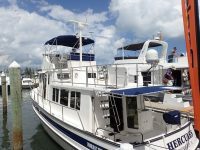 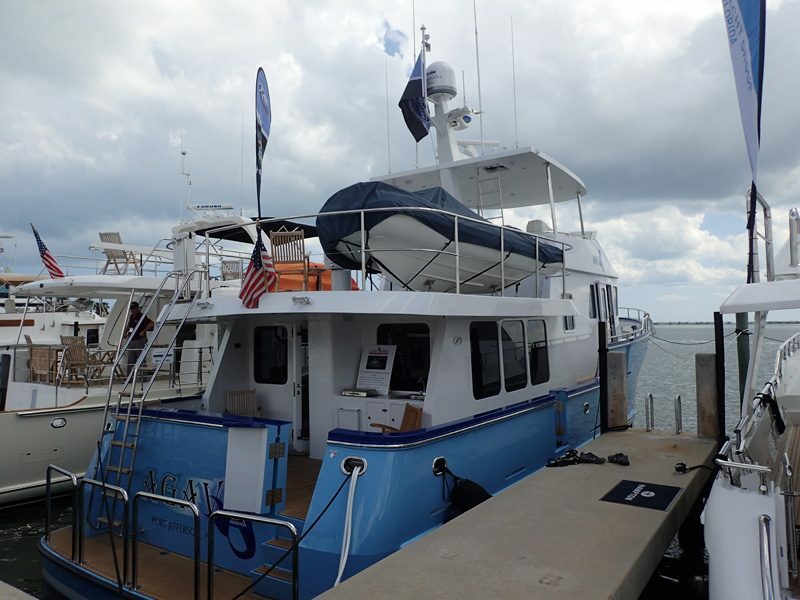 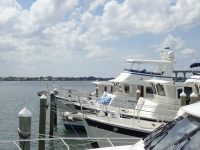 Christopher and Alexandra reviewed their quest to buy the right trawler, what happens during the first few months of ownership and their accelerated learning curve that led to a successful two months of cruising in the Bahamas in their first year of ownership. 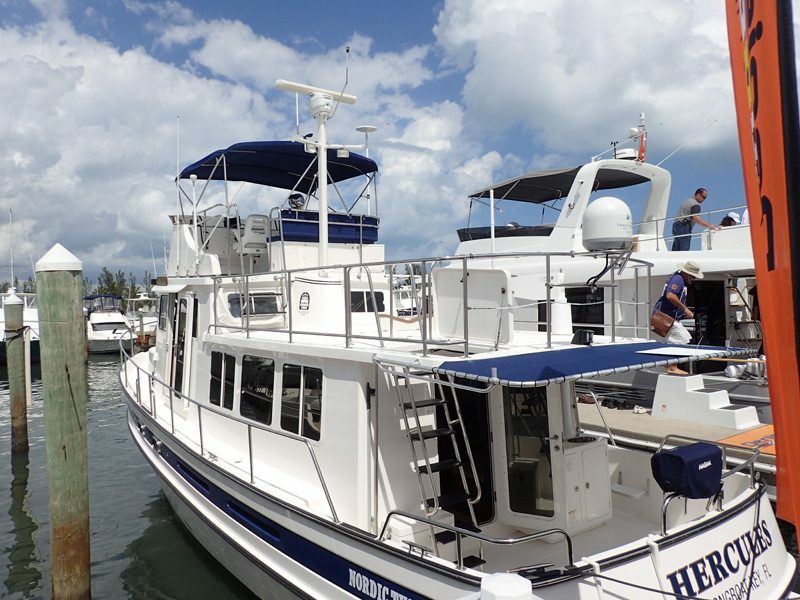 Alexandra did a terrific job of explaining what it is like to buy a trawler with almost no boating experience to the delight of husbands and wives who are contemplating following in their wake. 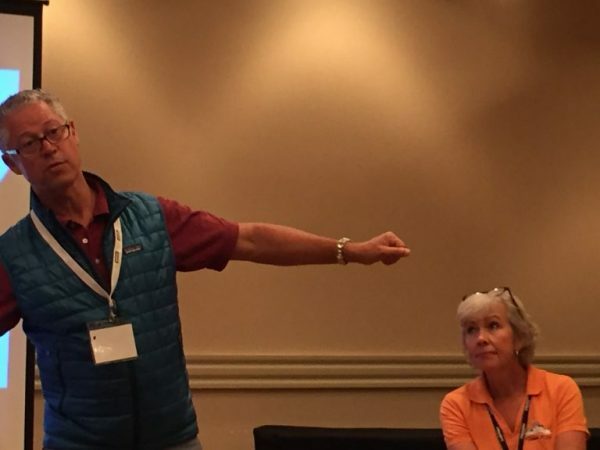 Christopher is a natural in front of a crowd and in between nuggets and insights there was a lot of laughter. 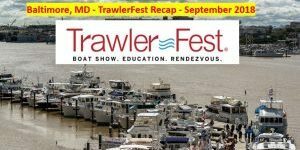 They have been asked to do this talk again at the fall Baltimore, MD TrawlerFest. 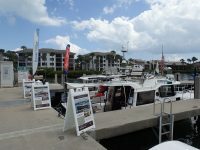 A quick market update – there is a lot of enthusiasm with more new people looking into the trawler lifestyle. 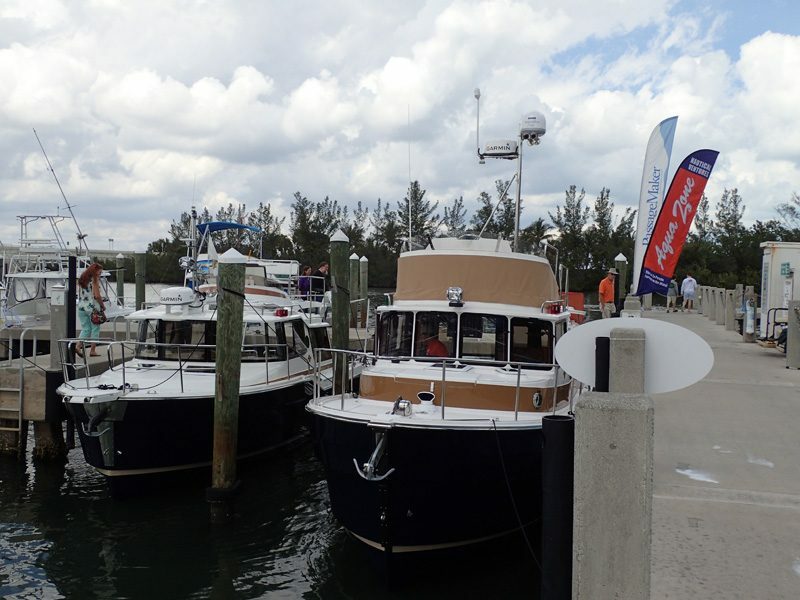 We had multiple conversations with current owners and future trawler owners. 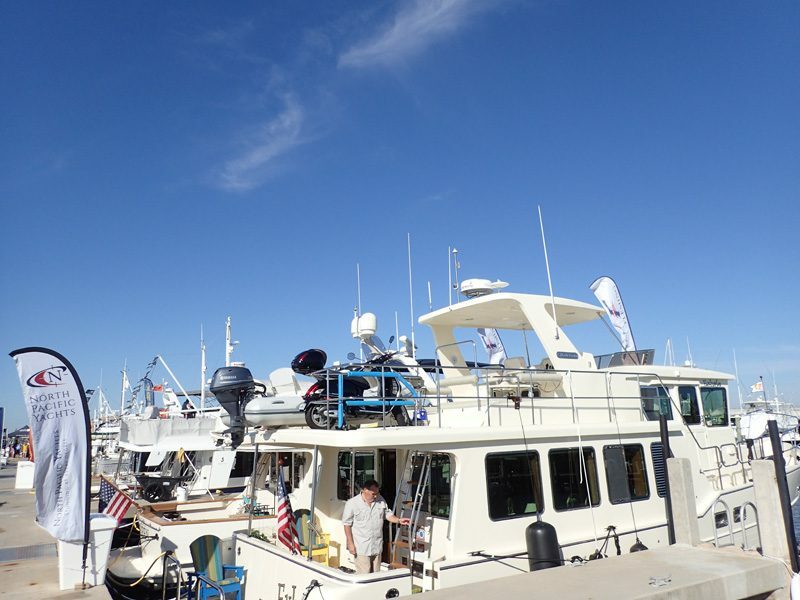 This is a very engaging community of like-minded people who are having the time of their lives. 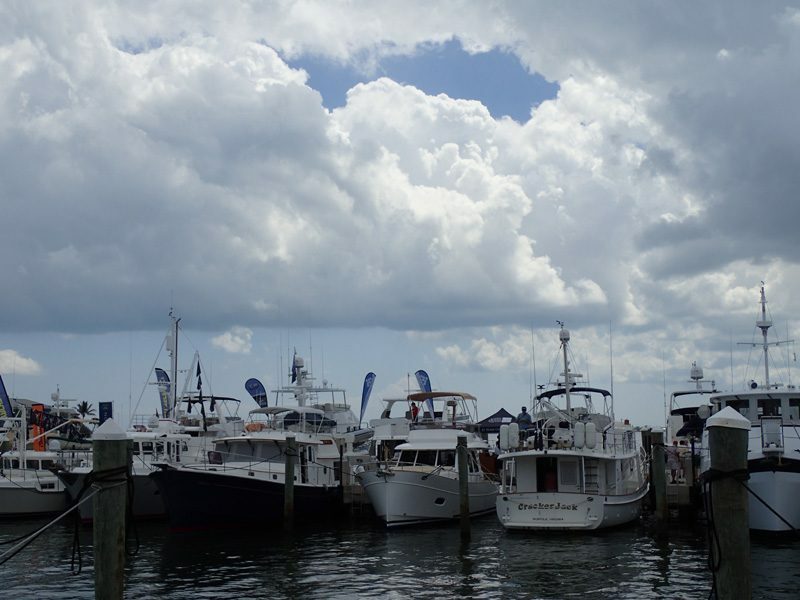 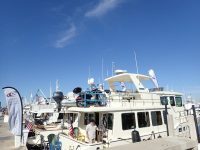 TrawlerFest provided the location for everything to connect – it was fantastic weekend enjoyed by all. 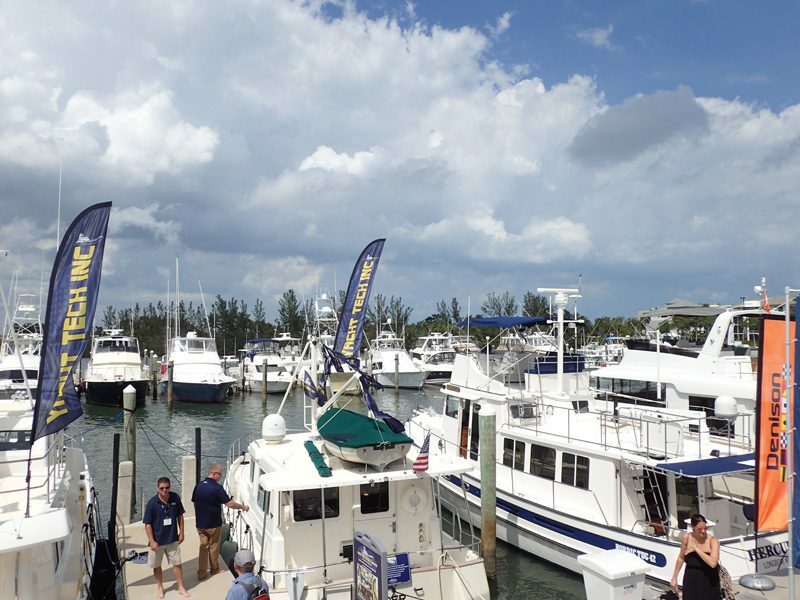 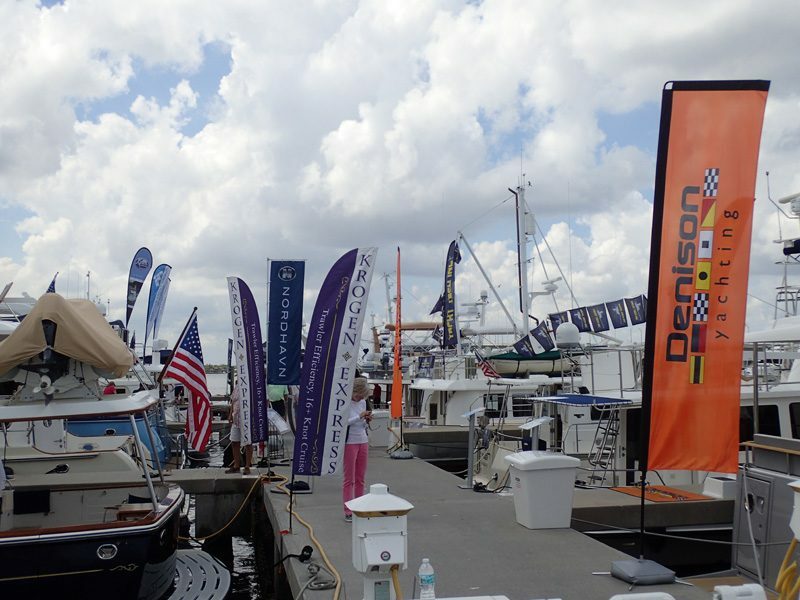 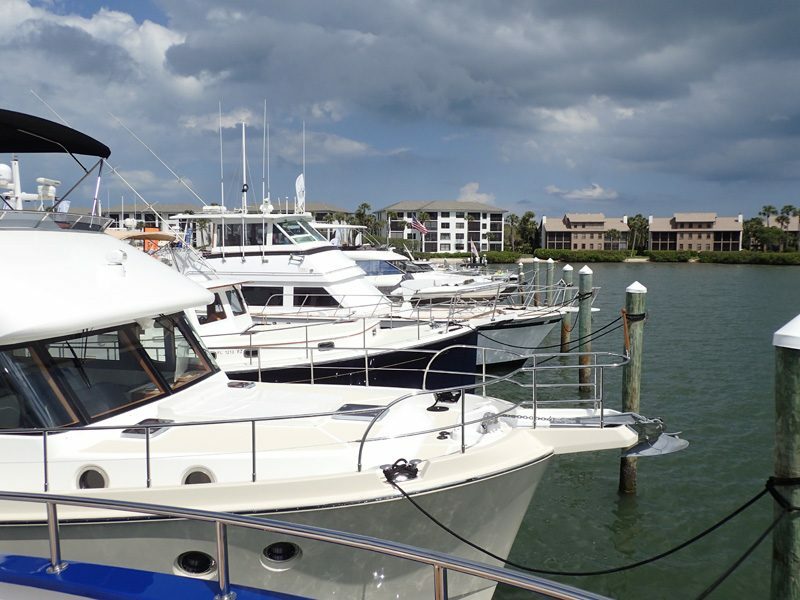 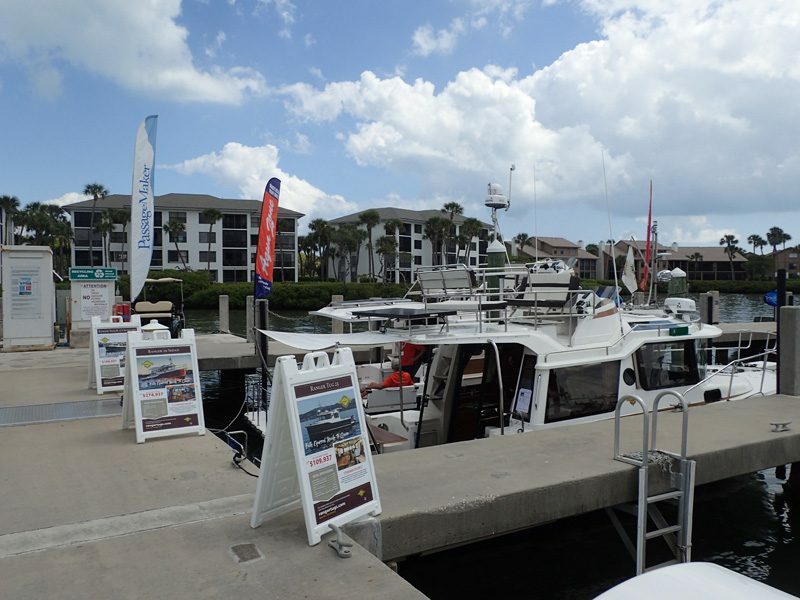 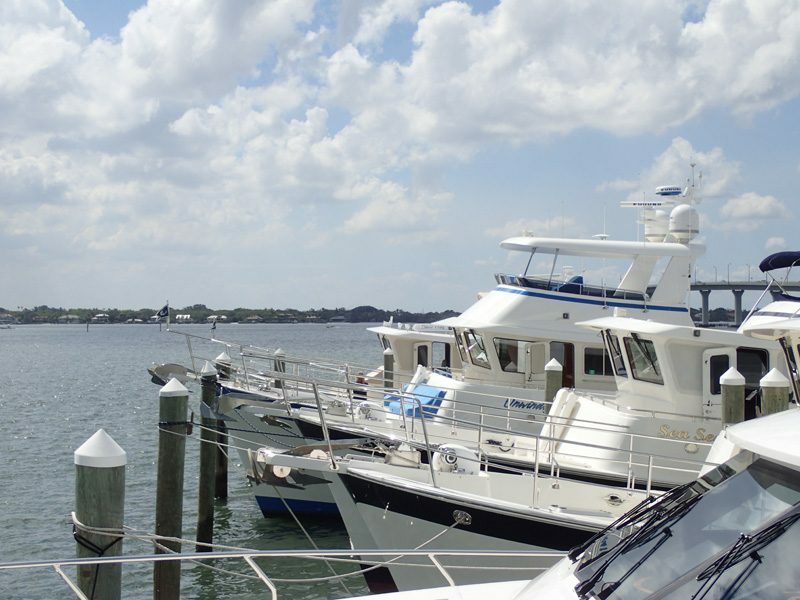 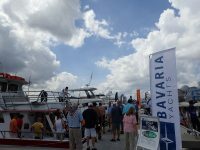 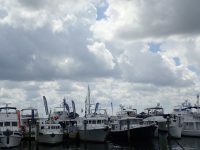 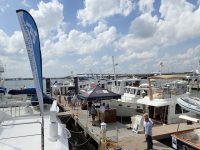 If you are thinking about buying a trawler and taking off on cruising adventures, you don’t want to miss TrawlerFest. 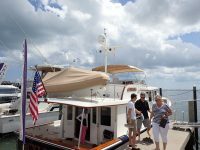 Please feel free to get in touch with Christopher, John, Ray, Andy Nemier (who couldn’t make the event) or Jeff if you want to talk about how we may be able to help you with your planning. 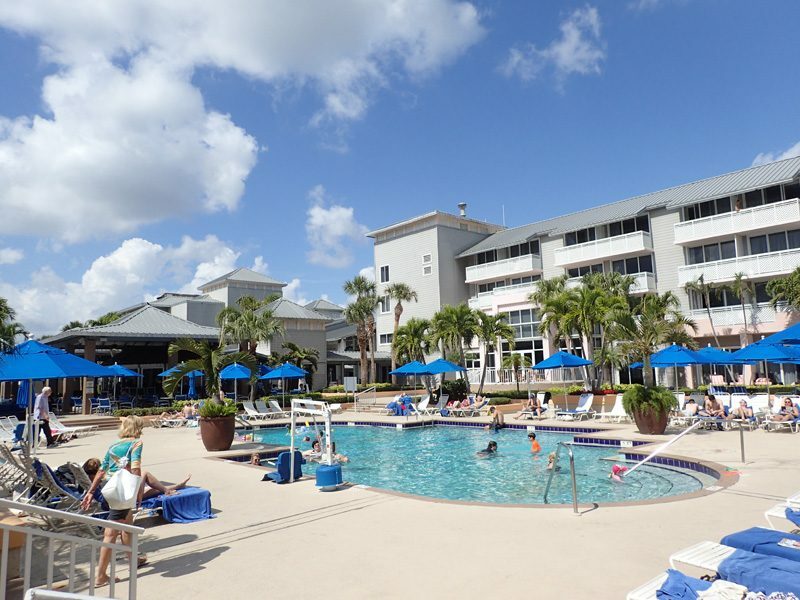 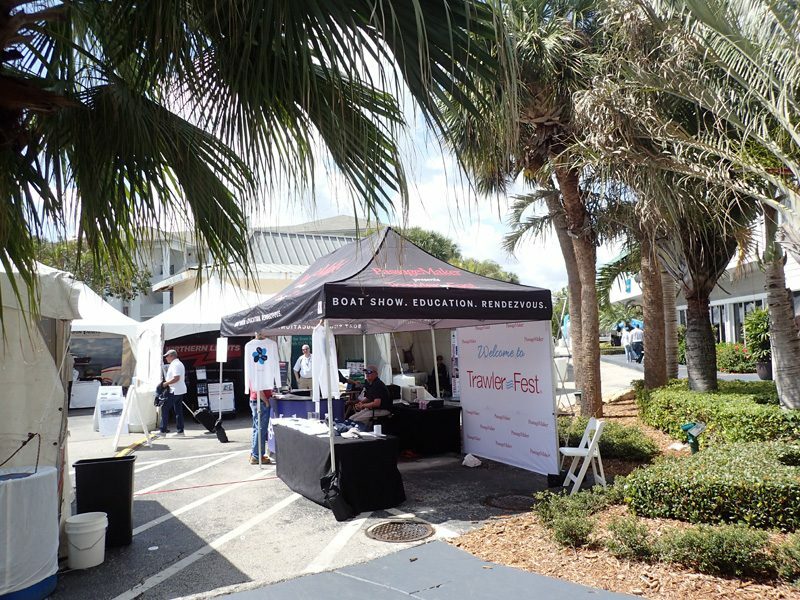 In addition to making our presentations available, we have included a photo album to show off the Hutchinson Island Marriott venue in the hopes that you will be enticed to attend the next TrawlerFest which is scheduled to take place in Bremerton, WA May 3 – 5, 2018. 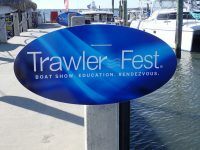 Information on the TrawlerFest series of events can be found by going to www.trawlerfest.com. 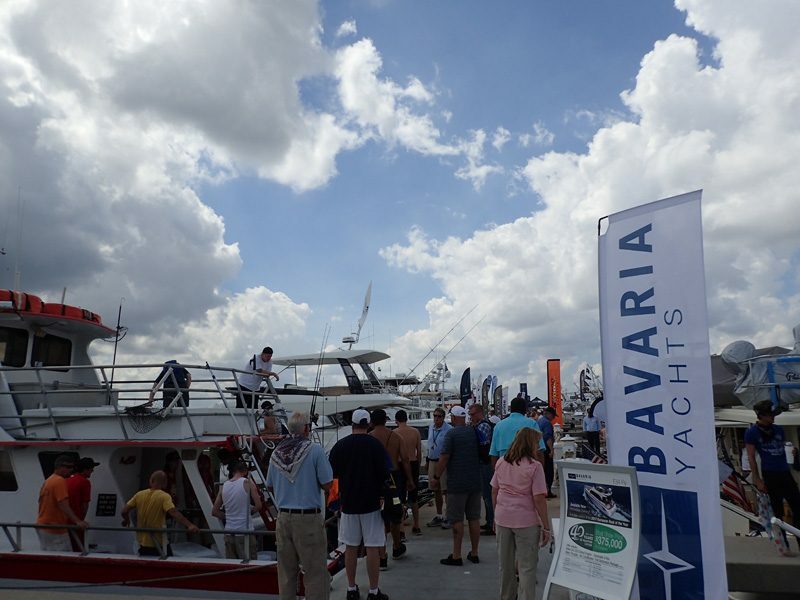 We look forward to seeing you at the next one! 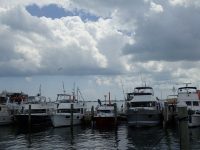 The time sensitive information has been removed, but may still be available. 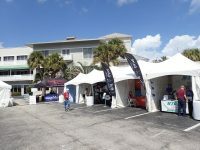 Please sign up for the JMYS newsletter to inquire. 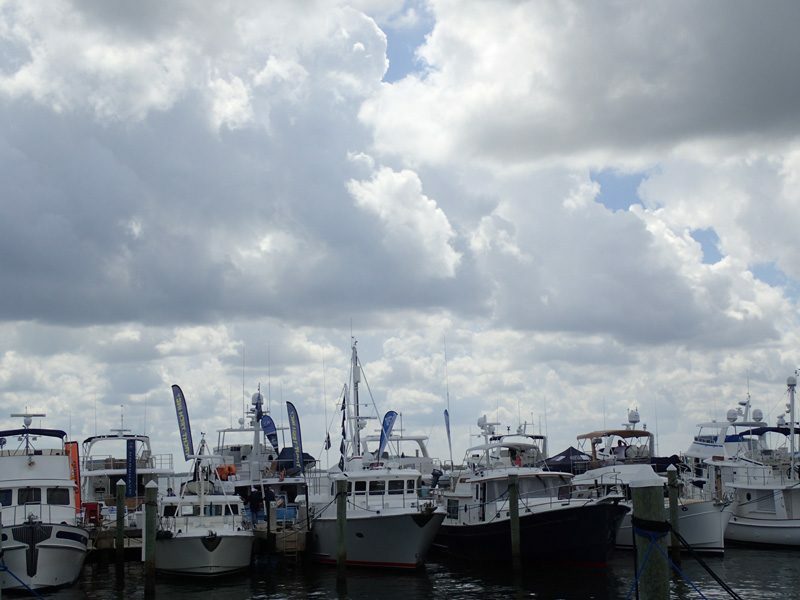 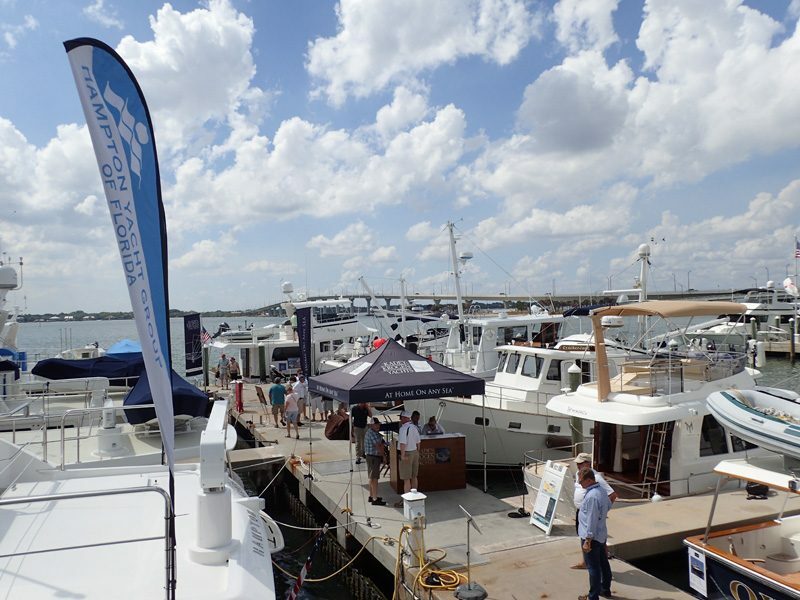 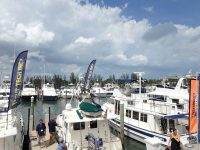 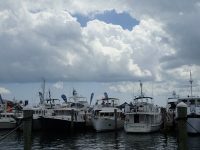 Or, put “TrawlerFest – Stuart, FL 2018” in the subject line of your email to Jeff.Merrill@JMYS.com.